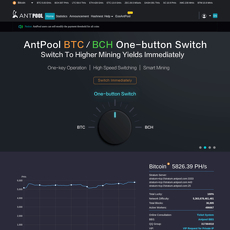 8+ Bitcoin Mining Pool - Cryptolinks - The World's Best Cryptocurrency Sites List! 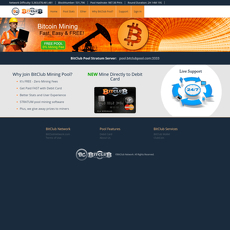 Mining pools is the best platform to be if you are a miner of cryptocurrencies such as Bitcoin and Altcoins. 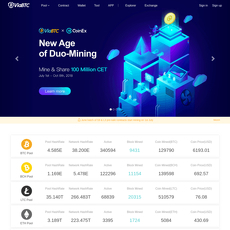 It is a platform where you can meet different miners of several cryptocurrencies and interact on how to earn or yield more hash rates per second. Before you can make use of mining pools, you must already have a mastery on how to mine coins and tips on what you should do or avoid. 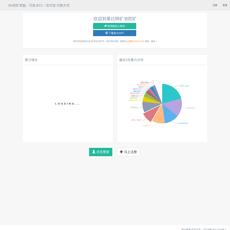 Then, you need a reliable mining software like MMinerGate, BTCMiner, etc. The essence of this mining software is to get you started and related you to the mining pool where you will find several other miners. 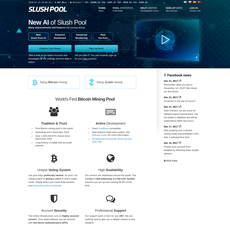 In this category on Cryptolinks.com, the crypto mining pools that have been reviewed are F2Pool, Antpool, SlushPool, ViaBTC, BitClubPool, Bitminter, btc.top and Bixin Pool. They are about 8 of them that have been reviewed and their pros and cons have been listed successfully. While many mining software has mining pools as part of its features, you may still need to consider these ones here because of how versatile they are. Those on mining software may not have high reputation as these ones and were not reviewed the way they were meant to be. When you want to choose any mining pool, you need to make sure they support the type of cryptocurrencies in your possession. It is often advisable to go for one that supports a wide variety of coins so that when you plan to mine another type of crypto, you would find it easy to use. Digital currencies are the only things required in a mining pool and if it doesn’t support the type you have, then it is not good for you. 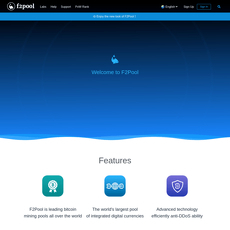 F2Pool is the largest pool of digital currencies because it supports many cryptos and has a reputation of being the best and leading bitcoin mining pool in the world. Be very certain, this platform has a lot to offer to miners. One other thing that makes miners are interested in a pool is the quality if the designs or themes of the pool. A Pool with a captivating design automatically intrigues miners and they suddenly get interested in doing their mining business on it. It is also a sign of professionalism. Procedures are also very important before you choose a mining pool. 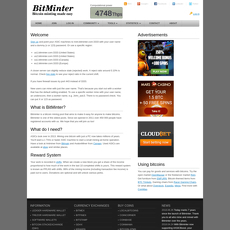 Procedures such as registration, logging in, choosing a miner, etc. are very crucial. If a mining pool takes a long time doing all these, then it wouldn’t be the best for you because it would certainly delay some of your operations and have an adverse effect. The reason could probably be as a result of traffic or influx of people in the pool; so, you have to be very careful in selecting a mining pool, especially in those listed here. Support for customers is top priority for any crypto mining pool because the way issues are handled or rectified goes a long way. A mining pool with a good customer support will only create a level of trust with the platform and ensure there is constant patronage (even if coins are changed). Also, being able to reach out the community is important i.e. a way they could reach out to a large audience for information about mining or inviting other people to the platform. They reach out to the community through social platforms like Facebook, Twitter, Emails, etc. A mining pool that doesn’t have a community invite or info isn’t fit to be responsible for your mining activities. If a mining pool has an application for its services, then you shouldn’t waste time going for it. With an app, things become easier for you and you can easily mine without stress. Also, you can overcome the problem of having too much traffic caused by miners who make use of the platform. For instance, a mining pool like F2Pool has an App called F2Pool App which is available on either iOS or Android which can be downloaded on Apple Store and Google Play Store respectively. 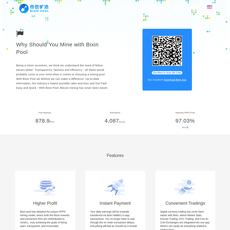 They even have WeChat also as a social app that would ease mining and support. Even though F2Pool was regarded as the largest mining pool and the leading pool for Bitcoin in this category, your choice could be different based on some features on the rest or some factors critically considered. In conclusion, many mining software offer mining pool services but it is best you choose from this category because they have all been reviewed and their respective pros and cons have been listed to aid customer’s choice.